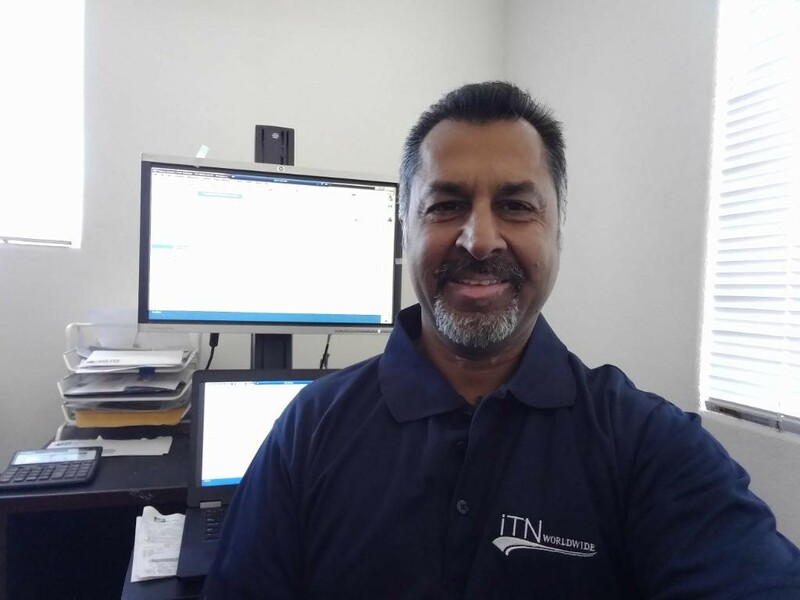 Firoz Mohammed is our iTN Worldwide regional manager on the West Coast and tasked with developing our operations and team. Based out of California, one of the most critical industries Mohammed oversees is our robust Wine & Spirits service. Originally from the Fiji Islands Mohammed immigrated to the U.S. in 1969 and grew up in the San Francisco Bay Area. Like many in the export industry, he was recruited during his first job as a teen and continued his path in logistics. Mohammed said the teamwork environment at iTN is what convinced him to join the company. Despite the time difference and distance he always feels connected to his colleagues. He also said he wishes to duplicate the same Miami atmosphere in the California office as it grows. Becoming the west region manager was a role he shifted into. He began as a salesperson, and iTN COO Daniel Grimes agreed to continue on the path to solidify iTN San Francisco as one of the leaders in the Wine & Spirits sector. The shift worked for iTN strategically because the office is in the California wine region. The west coast office specializes in the wine and spirits industry with one of the main products of export being California wine. Aside from a busy career life, Mohammed says a healthy balance to an active logistics career is making time for family and spending quality time with them. Living in California makes it easy to enjoy the outdoors and make time for hobbies with his loved ones. Mohammed said he’s grateful to have a work-life balance and has been enjoying the challenges and goals of leading the California team. His next objective is to add additional talent to the organization while servicing client needs and continue growth.